The 23-year-old real-life vampire and married man from Turkey was drinking human blood as one of his addiction said by the Doctors. He was actually arrested several times for stabbing and biting others to get blood, according to NBC. According to NBC report, "The 23-year-old man was arrested several times after stabbing and biting others to get and drink their bloods. 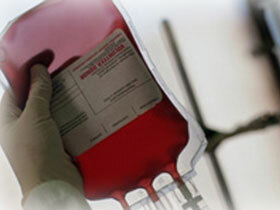 He apparently even got his father to get him bags of the ghastly drink from blood banks." But the real-life vampire is not only addicted to blood, he has also have abnormalities. "The man had been seen talking to himself, and he claimed to be tormented by an 'imaginary companion' who forced him to carry out violent acts and attempt suicide. He also had memory gaps in his daily life and reported instances of being in a new place without any idea of how he got there." The Doctors of Denizli Military Hospital in Turkey diagnosed the man's blood-drinking behavior was in remission, but his dissociative symptoms persisted. And according to the Doctors, this is the first in their knowledge that the man is diagnosed with "vampirism" and dissociative identity disorder (DID). Comments or suggestions about "23-year-old real-life Vampire drinking human blood" is important to us, you may share it by using the comment box below.